Left unattended, shrubbery and trees can become overgrown and can block beautiful views of the Sound, the bays, and rivers around the area. Trees on embankments can also grow too tall, similarly obstructing beautiful views. 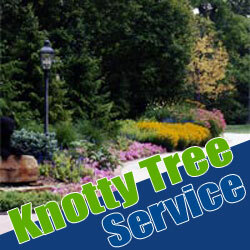 At Knotty Tree Service, we can improve the views around you. We specialize in view clearing and view enhancements. In this process, we remove specific branches or whole trees to improve the view of your home from the outside, or improve the view from the interior of the home. Our goal is always to improve your views without deviating from the existing tree landscaping. View clearing does not have to mean demolishing trees. On the contrary, because we are Certified Arborists, our goal is to maintain tree health in our view clearing services. If there are trees that can remain on your property, we will ensure that they are thinned or trimmed or pruned to your liking, and to maintain tree health. Keep the roots for stabilization on hillslides or sloping property. Our trusted services are available throughout the Puget Sound area. Please contact us today for your tree clearing and view enhancement needs.